YOU WANT PRIVACY ON DEMAND? With a push of a button transform the glass walls and windows from clear to non transparent. We cater to residential, commercial and vehicle projects. Founded in 2015, Concept Vitrum (one division of 4 Concept Technologies) implements ingenious solutions which put science and chemistry to work. Concept Vitrum has built strong partnerships with leading innovators in the film LCD Field and set new standards for third generation (3G) Switchable glass and film distribution in Canada. Concept Vitrum is able to offer exceptional customer service and distribution at the lowest possible prices because it is one of the only distributors to effectively distribute this type of technology outside the US. Since our inauguration, we have been determined to become a respected name in the switchable glass market. Education and perseverance are key elements which have contributed to the success of our business. Every customer who does business with us is interviewed to assess their exact needs and choose the best possible solution to meet those needs. One a solution is chosen, our sales representatives will cross reference those needs with the products from our suppliers. Once products are chosen, our experienced technicians will be pleased to install them at the client’s location. With a full understanding of LCD Glass technology, Concept Vitrum will be the best solution for the purchase and installation of your LCD switchable glass products. 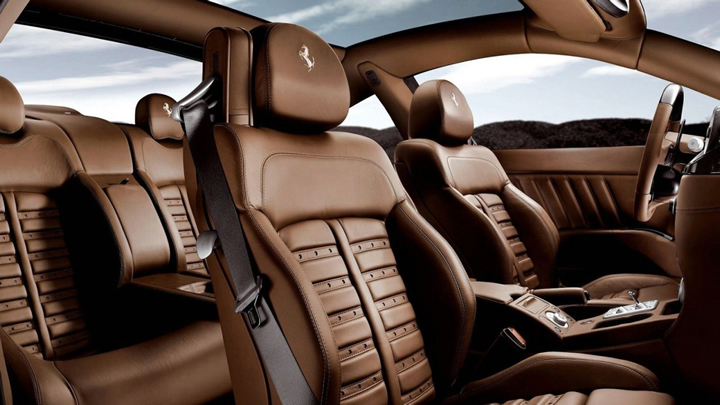 We cater to residential, commercial and also for vehicles of all types. 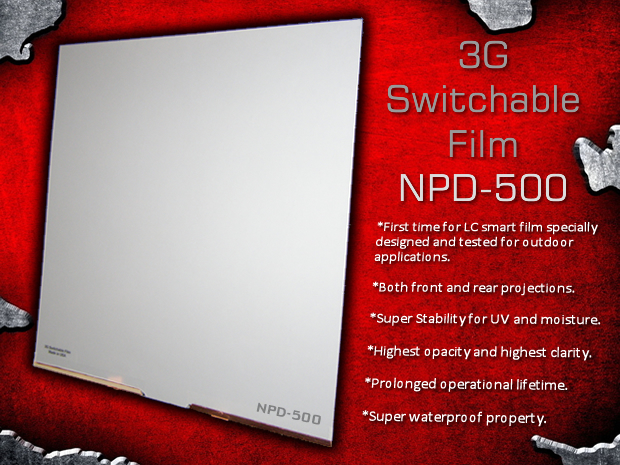 The NPD-LCD Technology is a new generation of switchable film and glass which changes the game when it comes to intelligent glass solutions. It impacts traditional applications by extending it’s uses to the outdoors. 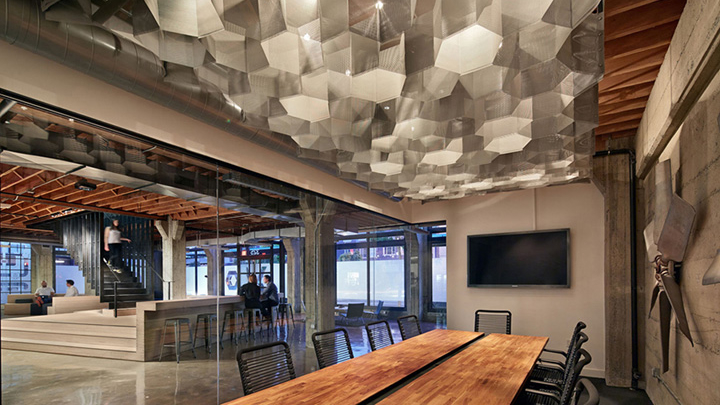 This type of technology can be used in virtually any sort of lighting environment. NPD-LCD fuses liquid crystal, non-linear polymers and optical technologies into a unique structure. 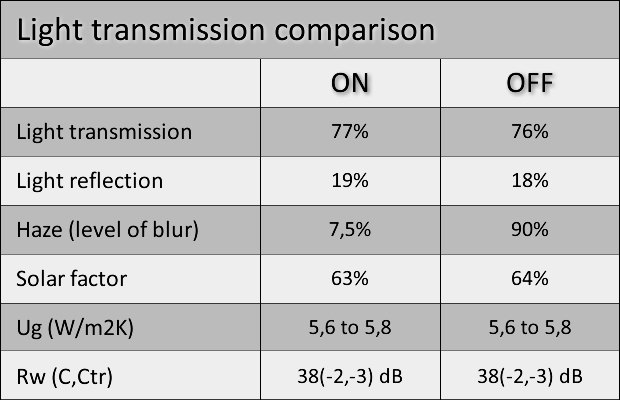 Smart glass operates by switching between opaque and clear states as an electrical current is applied. The film and glass are milky white when no current is present. When an electrical current is applied, the glass becomes clear. The smart glass and film is designed using liquid crystal micro droplets dispersed in a transparent non-linear polymer matrix. Electrical currents cause these droplets to allow light to pass through them making the glass appear clear. When no current is present, light does not pass. The orientation of these liquid crystals can be changed depending on the product selected. Full color NPD-LCD’s are also available. Through working with the products and being in communication with the big players in the LCD field, Concept Vitrum was able to gain extensive knowledge of these products, technologies and their uses. LCD Switchable Film / Glass / Projection screen is a relatively new concept which has just made it’s appearance here in Canada. It has a variety of applications in a variety of different fields. Electrically switchable windows and large outdoor billboards are examples, but customers can use these products for almost any application they see fit. They use a small voltage and are not made with any hazardous chemicals or materials, which means they are safe even if broken. Breaking a glass will not result in poisoning or electrocution. This is especially important when used in showers or pools. Prototypes are available in almost every industry shown below. NPD-LCD is suitable for all transportation vehicles and is especially popular in industrial transport vehicles. For billboard applications, the LCD becomes bright and is sunlight readable, even from far. 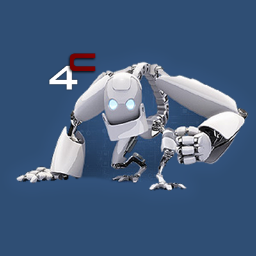 © (2015–2016) 4 Concept Technologies.